LIBERTINE: I studied Industrial Design in university because of a love of exploring new ideas and making things that have never existed before. It is mostly the excitement of working on a problem I don’t exactly know how to solve but that I get to place a piece of my own personality into the solution. LIBERTINE: I am working hard on a couple new perfumes that will battle it out to see which is released. I am also working on a new incense scent based around Hinoki (Japanese cedar) & Moss. I am also going to LA in October to go to perfume school for a few weeks! 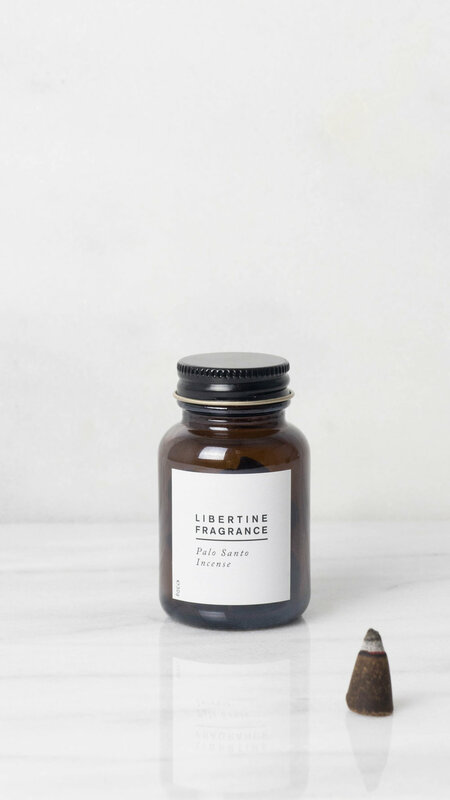 Also working on a homewares project with a friend to add to the Libertine incense line. LIBERTINE: So many! Isoí, Sebastian Errazuriz, Material Lust, Studio Job, Rooms Design, Apparatus Studios, Pelle Designs.